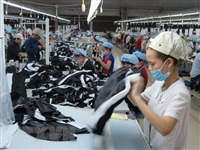 Vietnam, Cuba discuss reform of SOEs (19/04/2019-15:06:00 PM) A two-day seminar discussing the role of State-owned enterprise (SOEs) reform in socio-economic development opened in Hanoi on April 17, as part of the Vietnam-Cuba friendly cooperation framework. Vietnam, Nigeria seek stronger investment, trade ties (19/04/2019-15:04:00 PM) There is great potential for trade cooperation between Vietnam and Nigeria and investment in many sectors like agriculture, agricultural processing, garment, footwear, mining, and production of construction materials, a forum heard in Ho Chi Minh City on April 16. 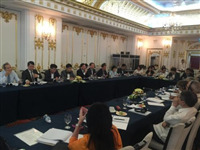 CPTPP to help promote Vietnam-Canada economic, trade ties (19/04/2019-14:34:00 PM) The Comprehensive and Progressive Agreement for Trans-Pacific Partnership (CPTPP) is expected to boost economic and trade cooperation between Vietnam and Canada once it takes effect, according to insiders. Vietnam should continue economic restructuring: ADB official (19/04/2019-14:30:00 PM) Country Director of the Asian Development Bank (ADB) Eric Sidgwick has recommended Vietnam push ahead with restructuring its economy to maintain stable growth in the medium and long terms. Vietnam, The Gambia to expand economic-trade cooperation (19/04/2019-14:23:00 PM) Vietnam attaches importance to developing multi-faceted relations and cooperation with The Gambia, especially in areas both countries are interested in, according to Vietnamese Ambassador to The Gambia Pham Quoc Tru.